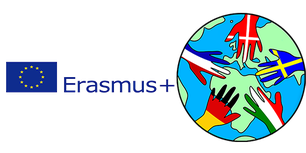 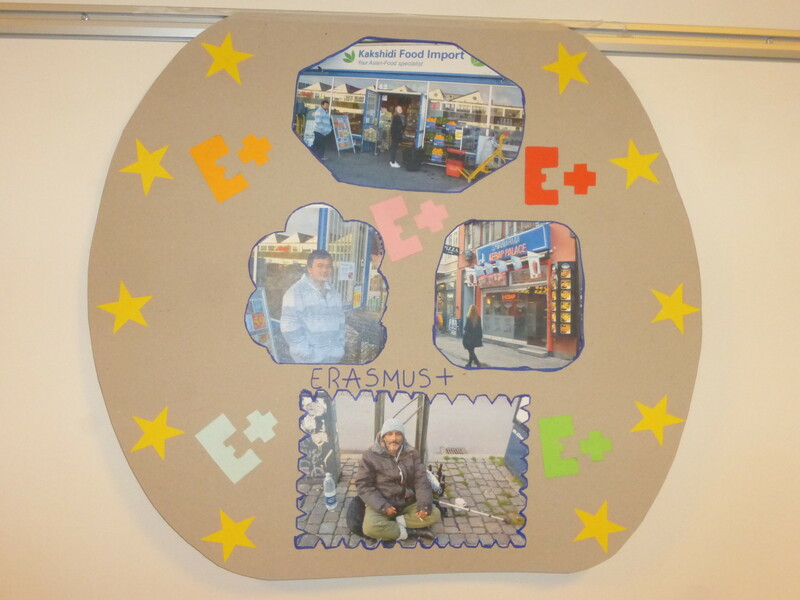 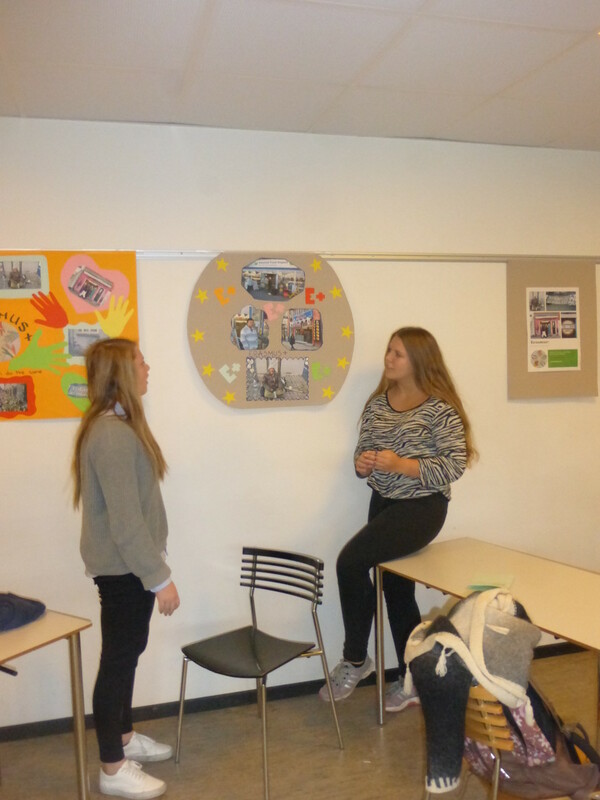 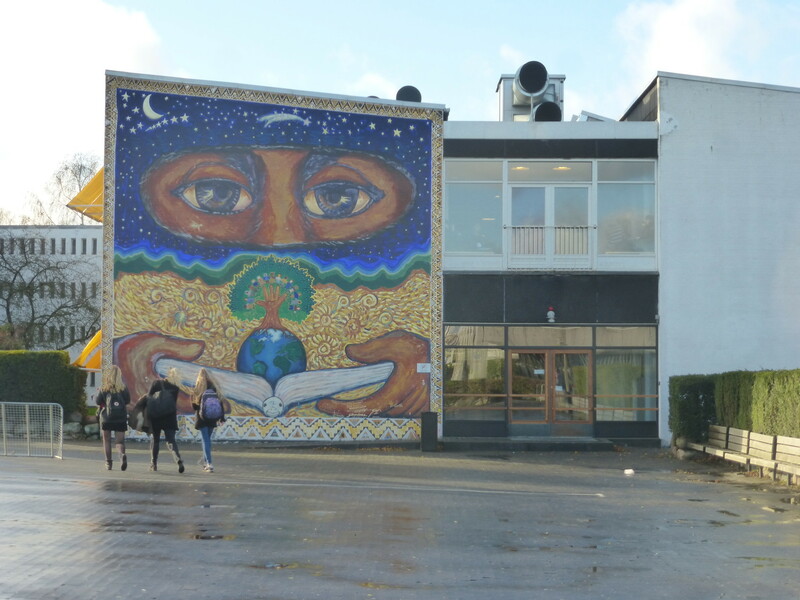 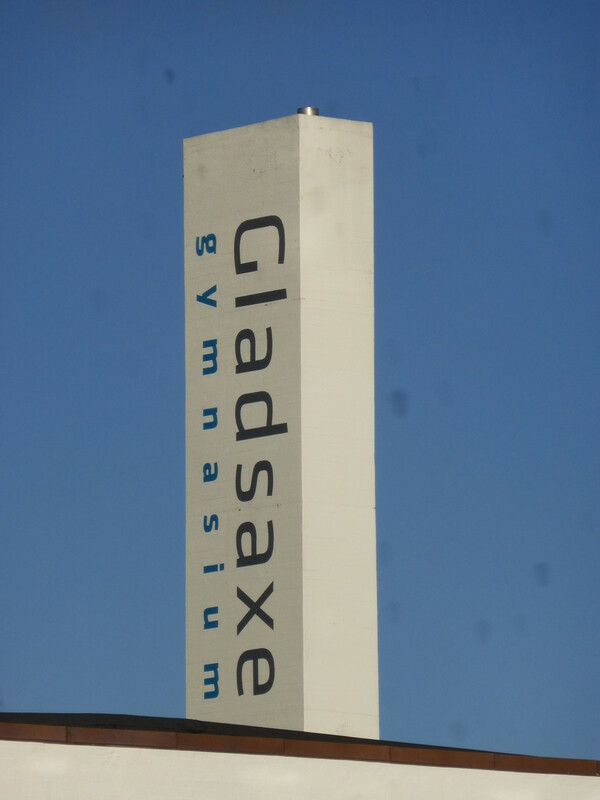 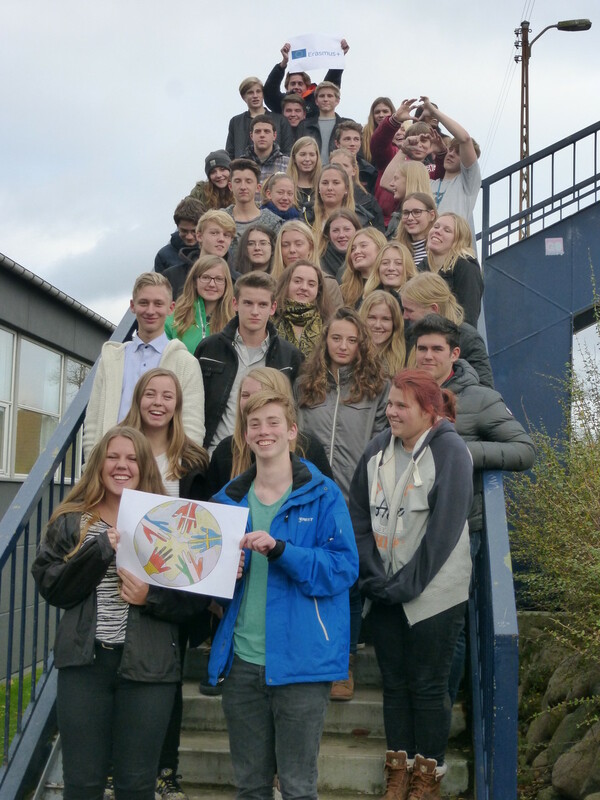 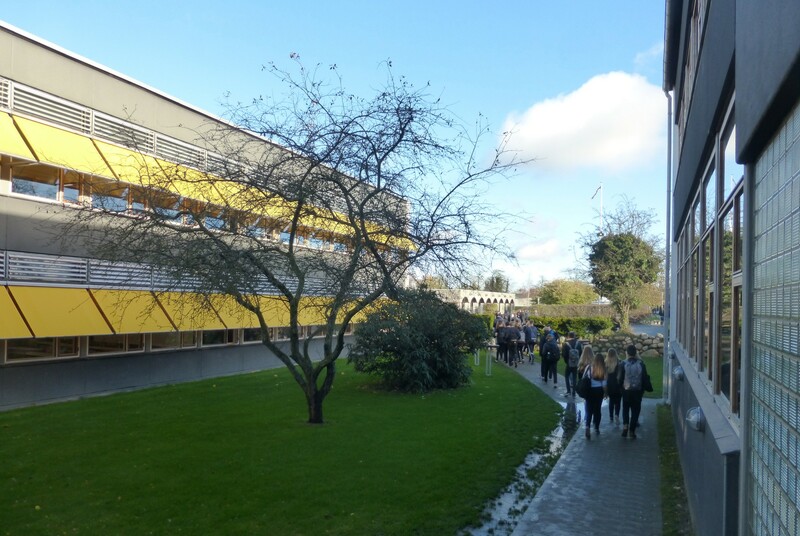 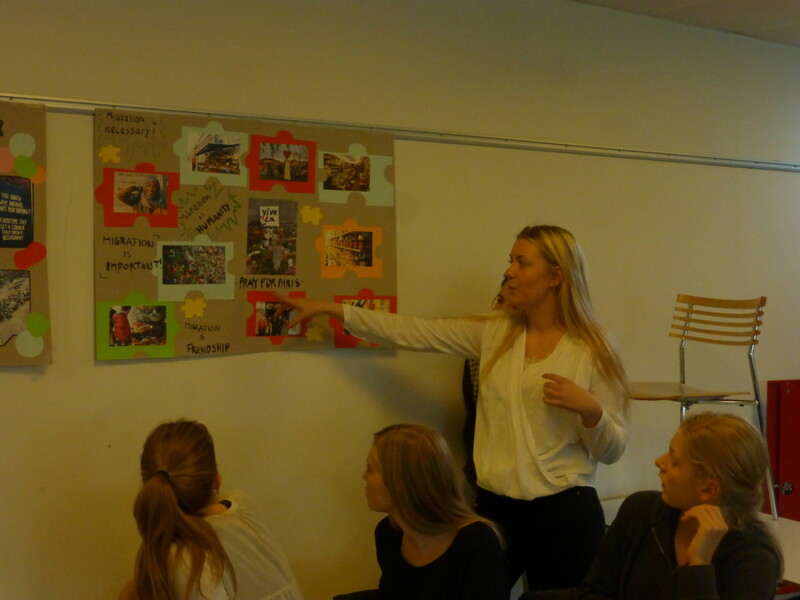 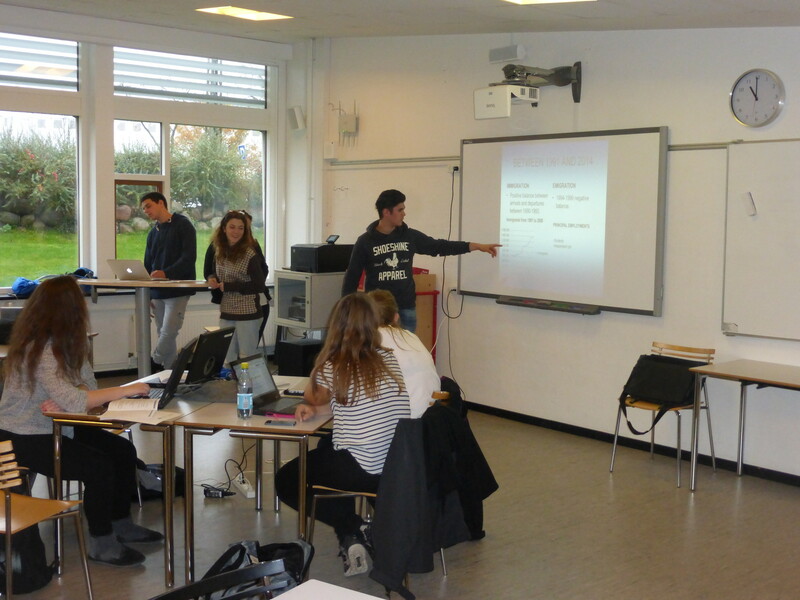 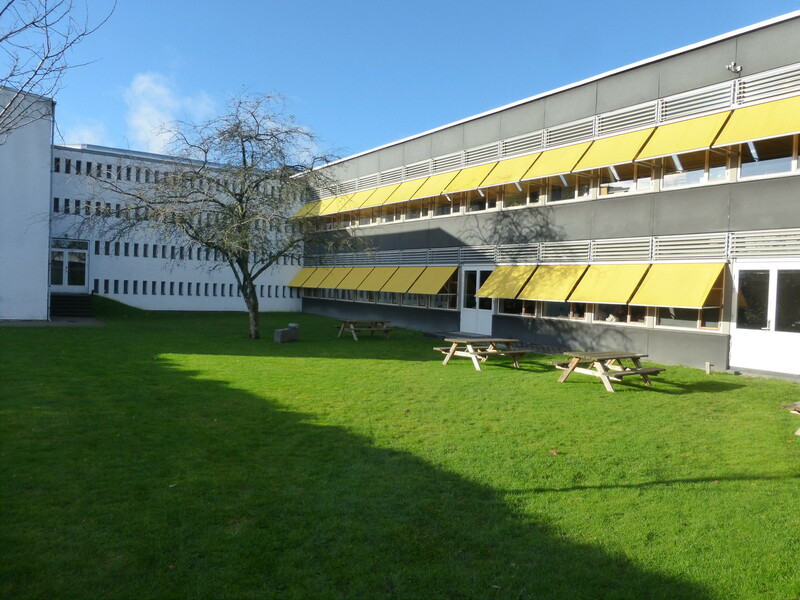 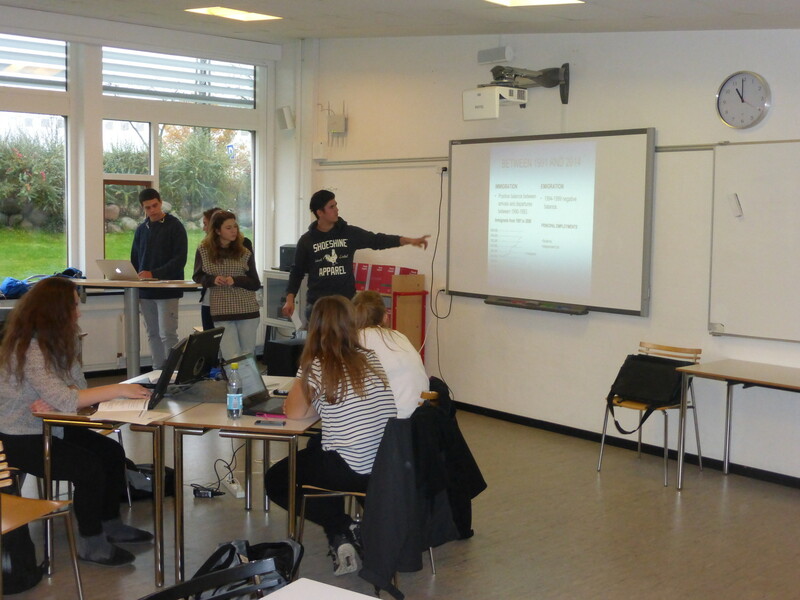 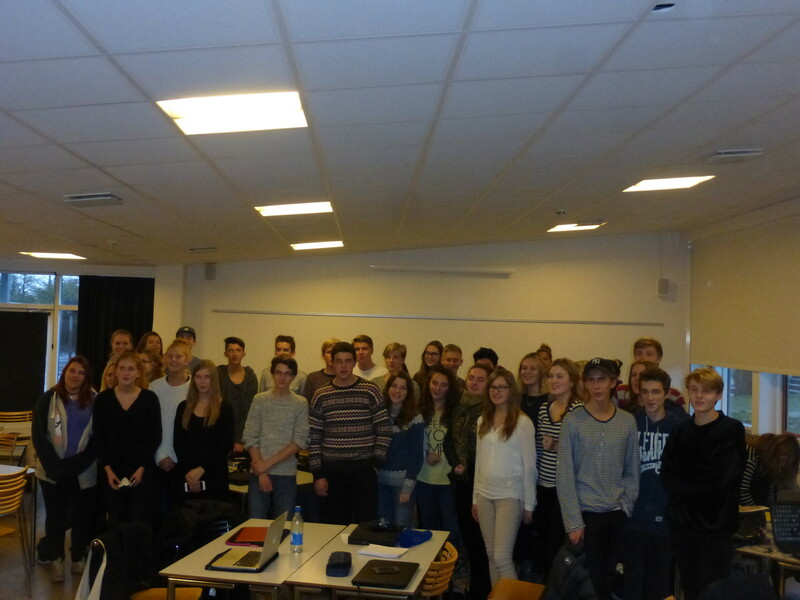 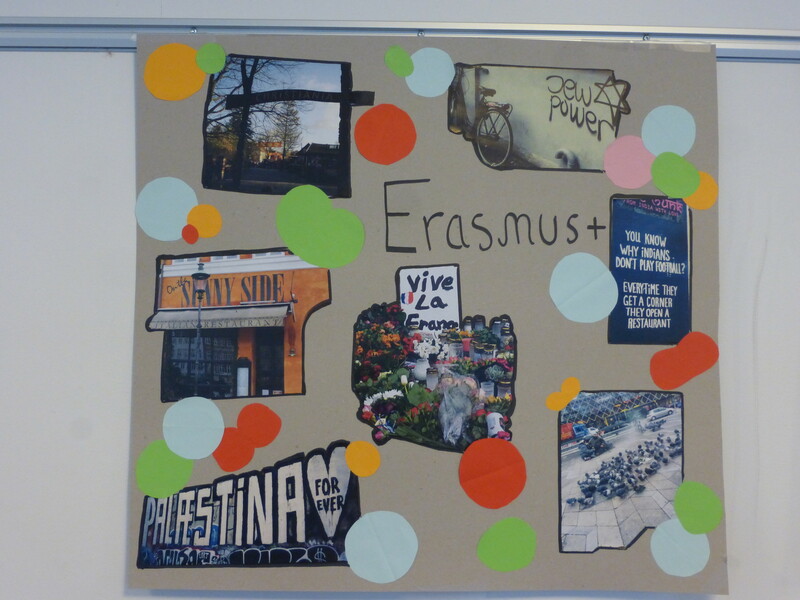 The first mobility in the project went to Denmark at Gladsaxe gymnasium. 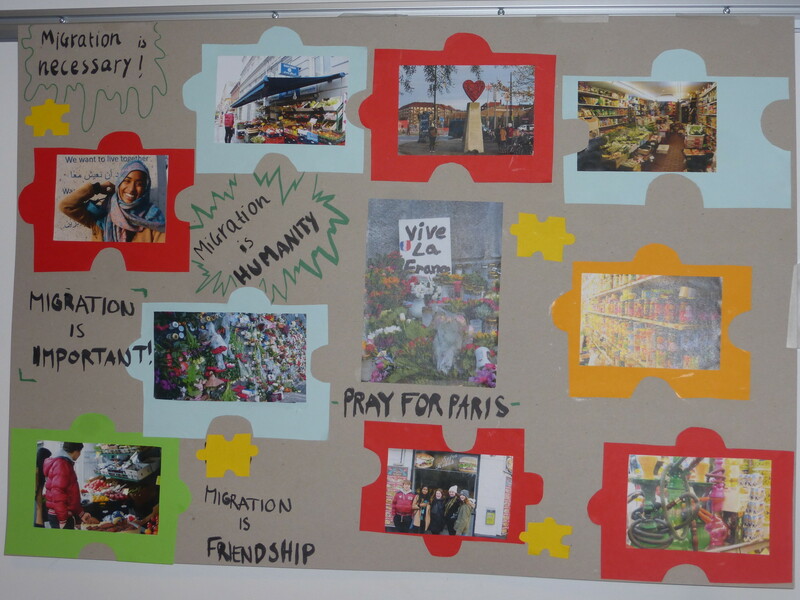 In general there was three major tasks to be fulfilled. 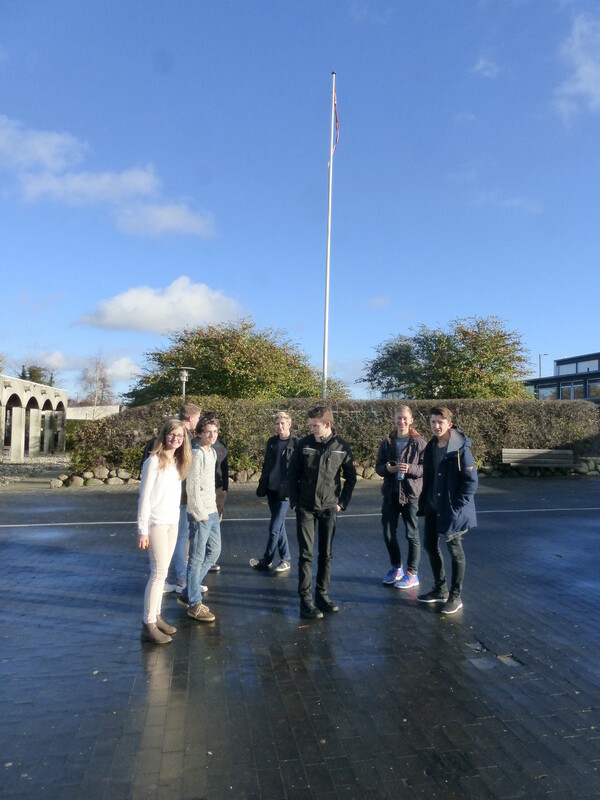 First the students had to meet for the first time, a get the real Erasmus+ project feeling, the danish students had planned some small get-together exercises which worked quite fine. 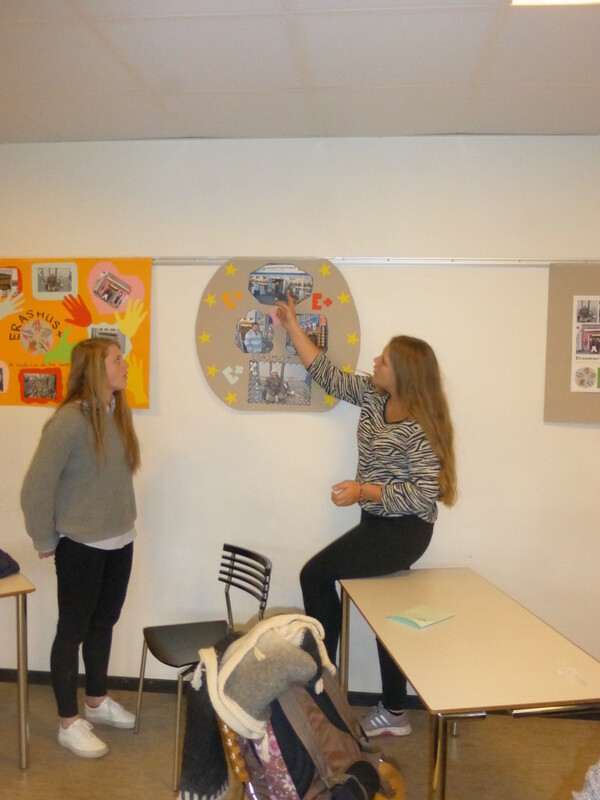 Second they had to start on the schoolbook with the historical chapter of migration through history. 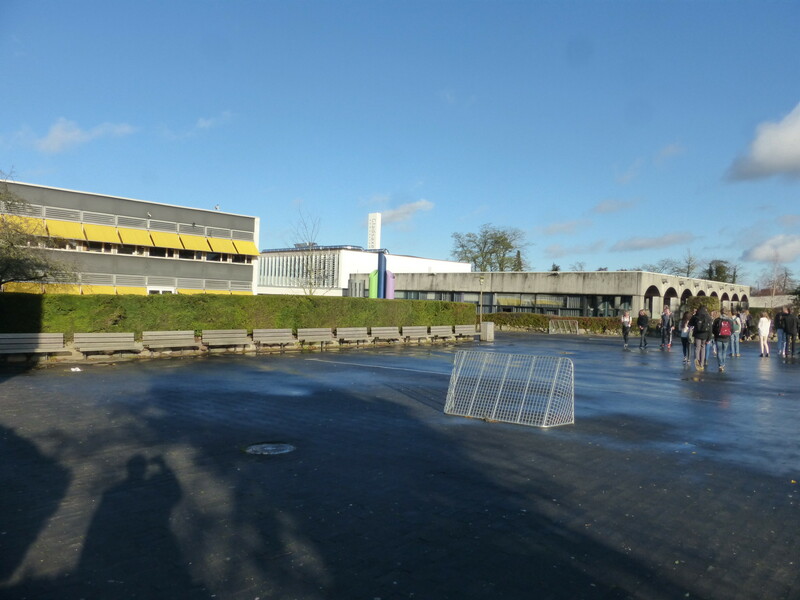 It turned out to be a larger work that the teachers and students initially thought, but they work very determent, and reach the goal at the end of the week. 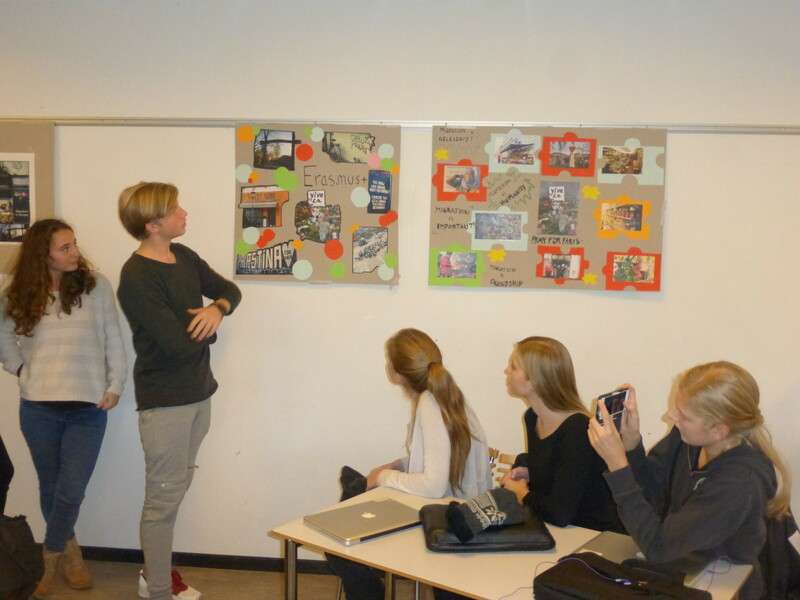 Third they had to begin filming, not for the final documentary, but to get a feeling on how to film, how to talk to people, how to edit etc. 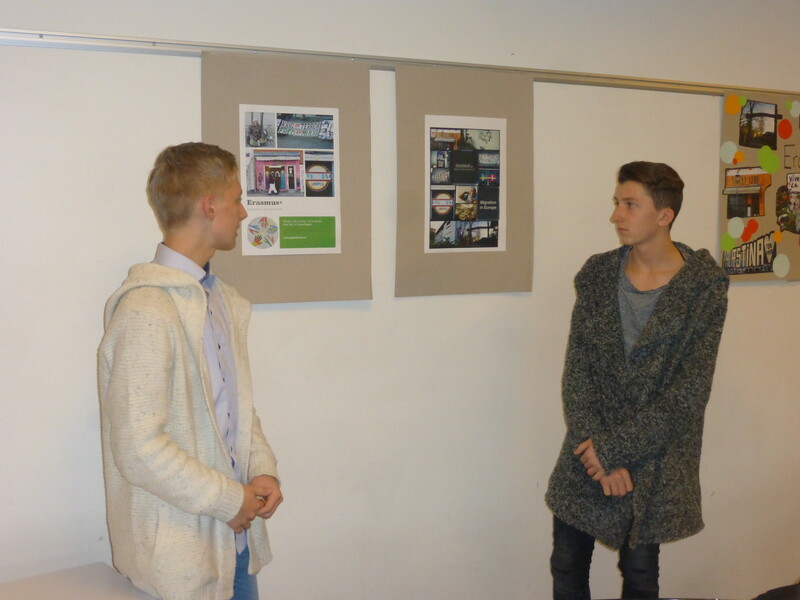 It was a good experience, that they hopefully can use in their future work in the project. 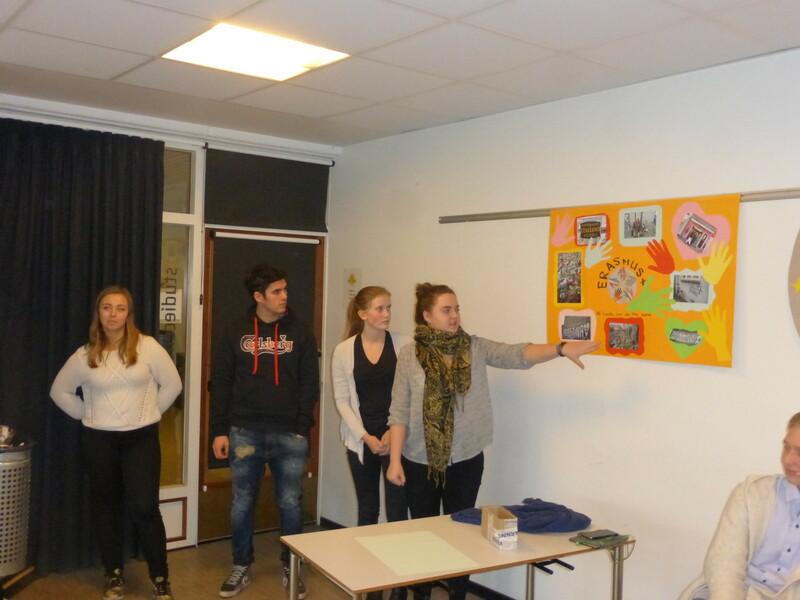 Besides that every nation had prepared some statistics on migration in their own country, which was presented and discussed in smaller groups. 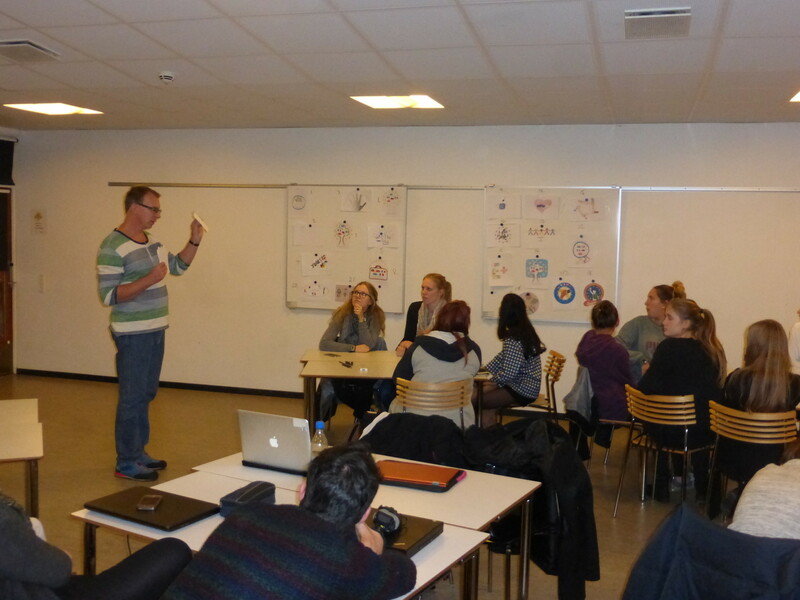 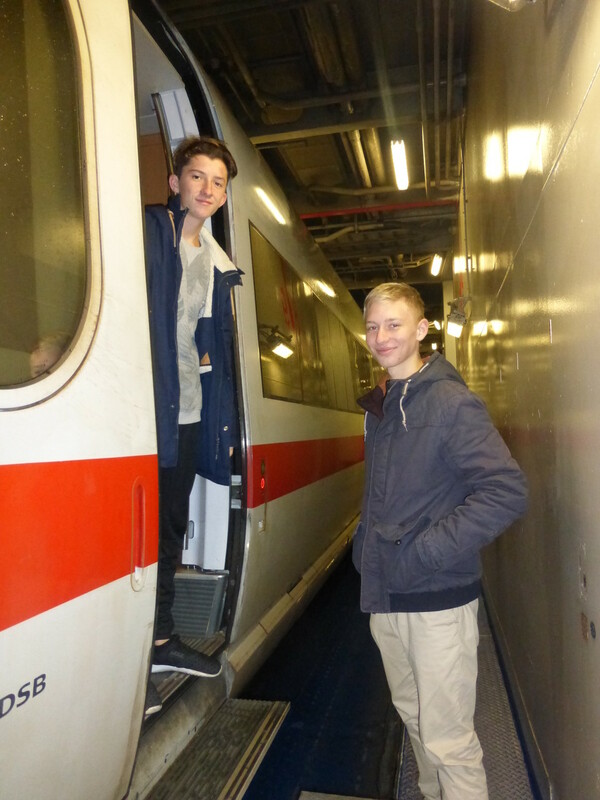 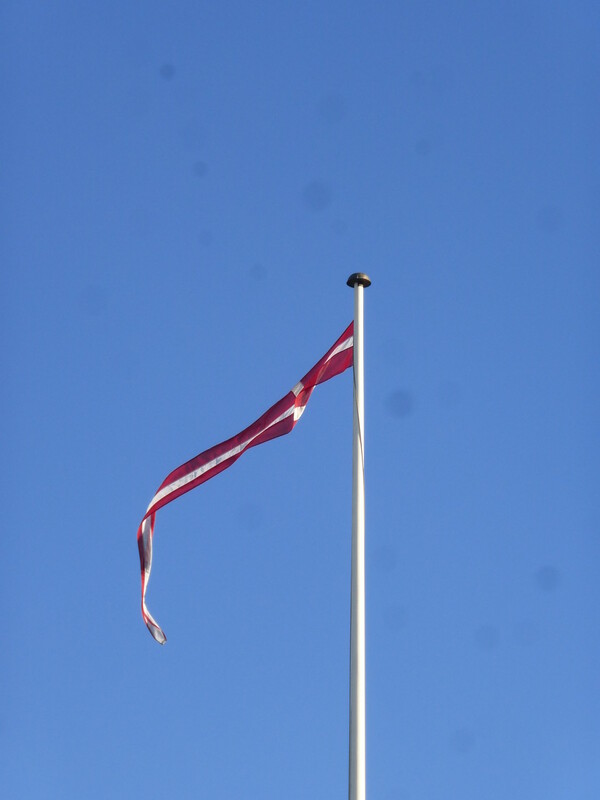 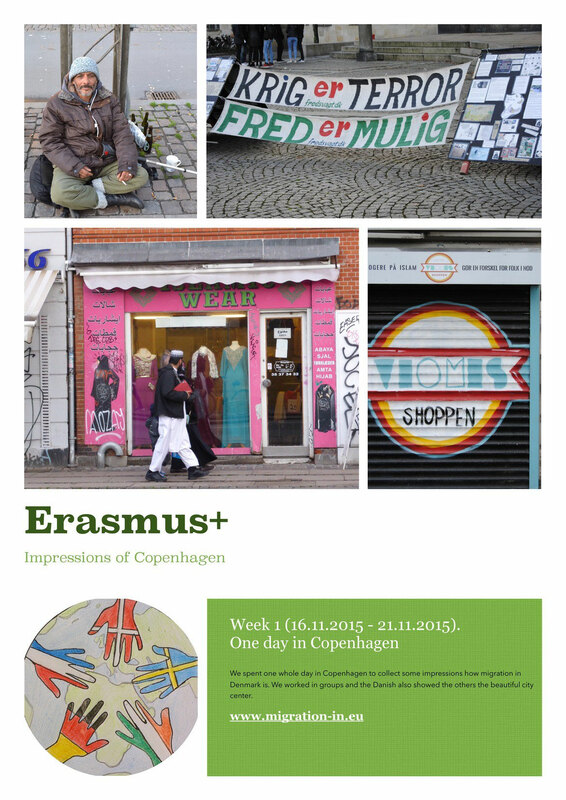 On wednesday all the students went on a trip to Copenhagen to find clues on migration in the city. 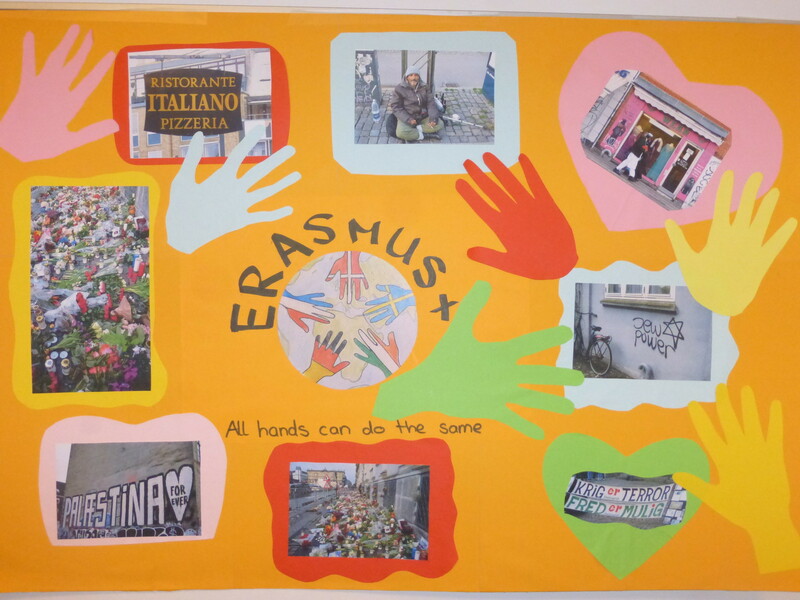 These pictures was used to make posters which was exhibited on the last day, friday. 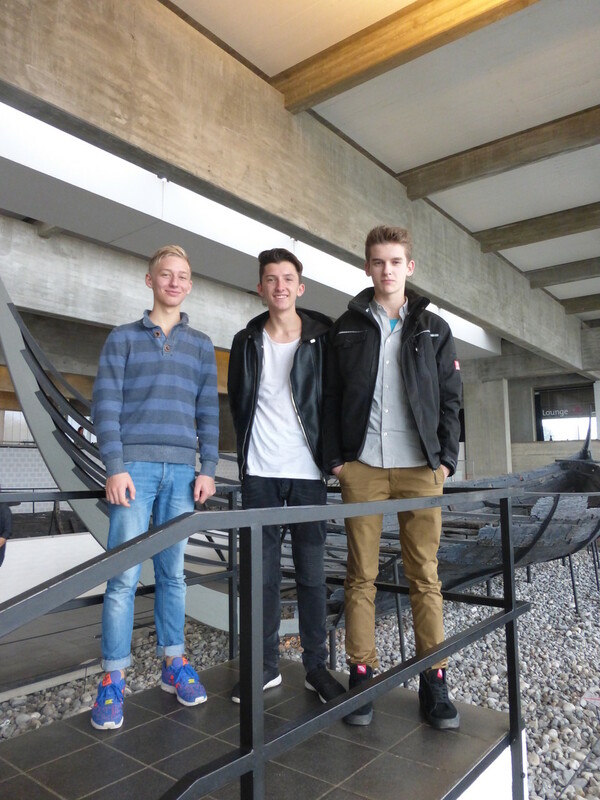 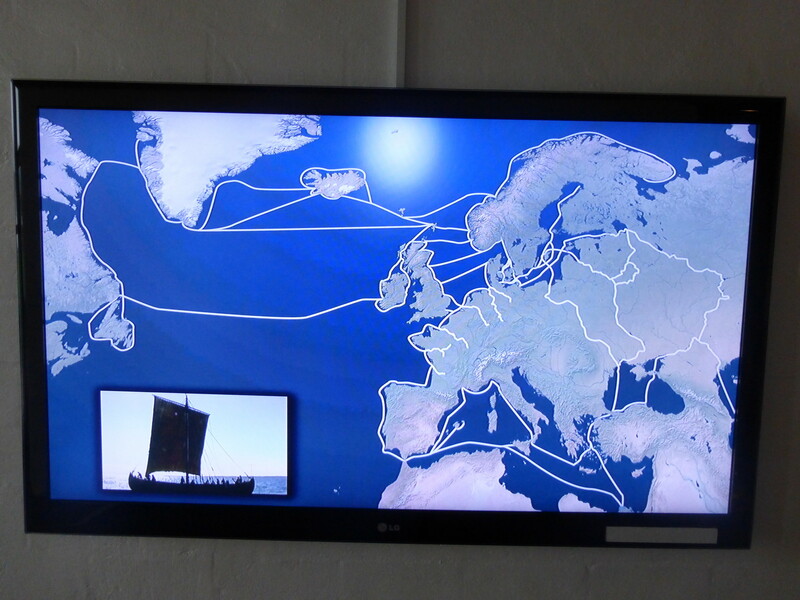 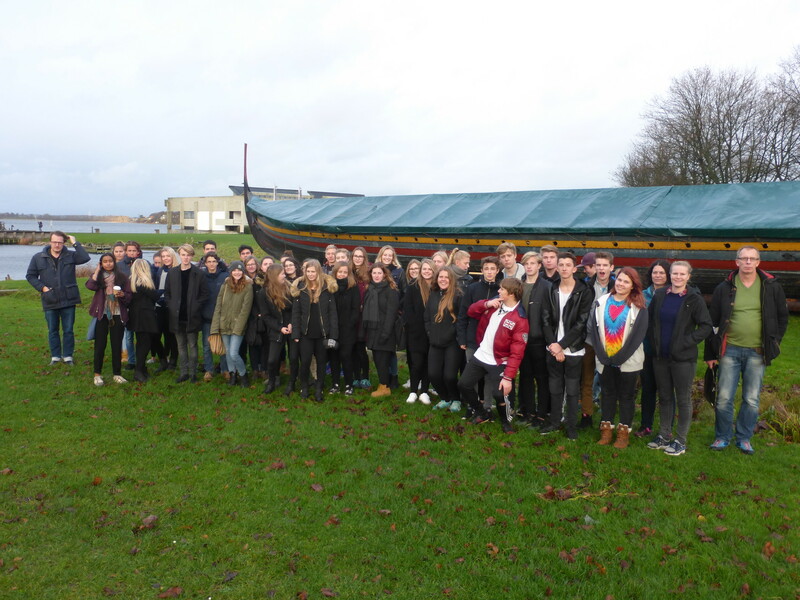 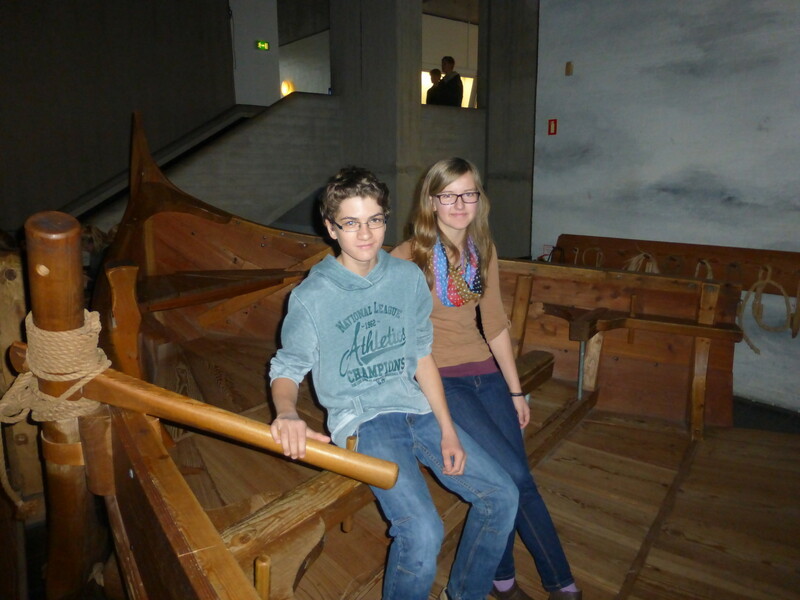 Thursday both teachers and students went to Roskilde, seeing the museum of Vikings. 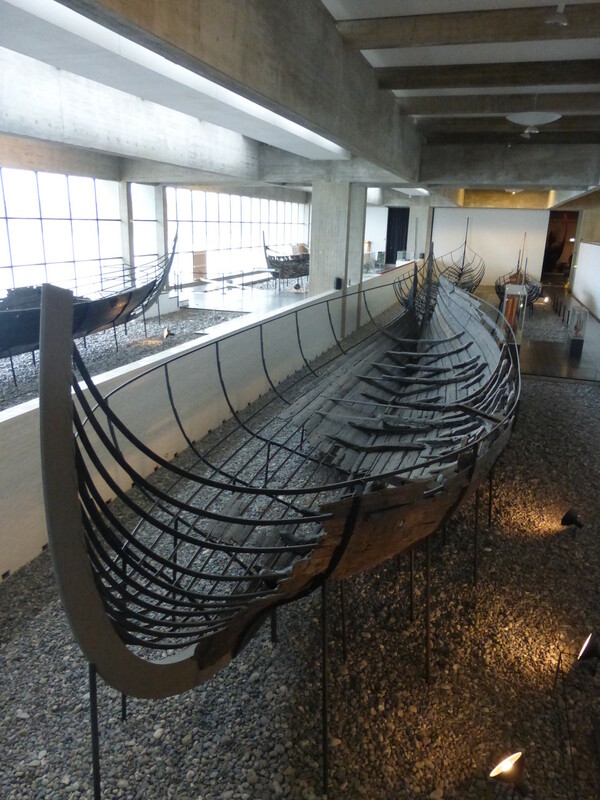 They are some of the earliest danes who migrated and left evidence of their migration. 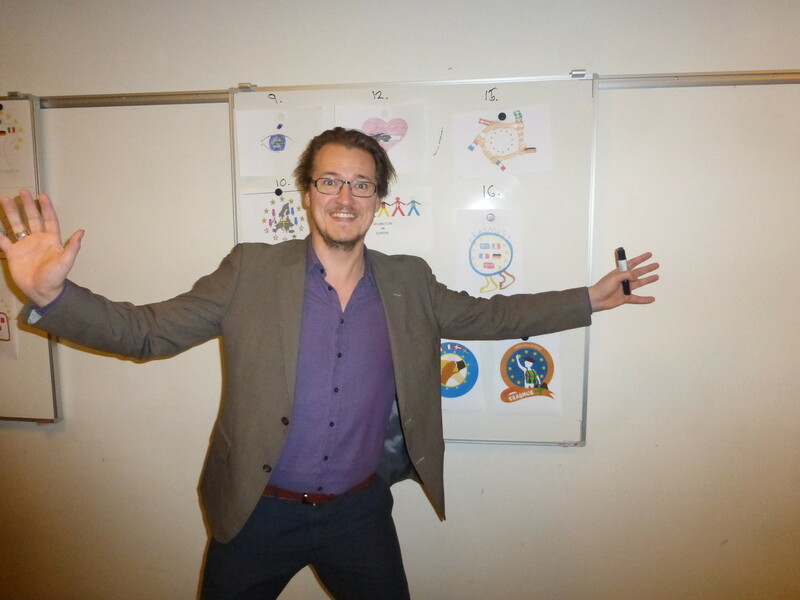 Last but not least friday evening was party night, where all the families came and brought a dish. 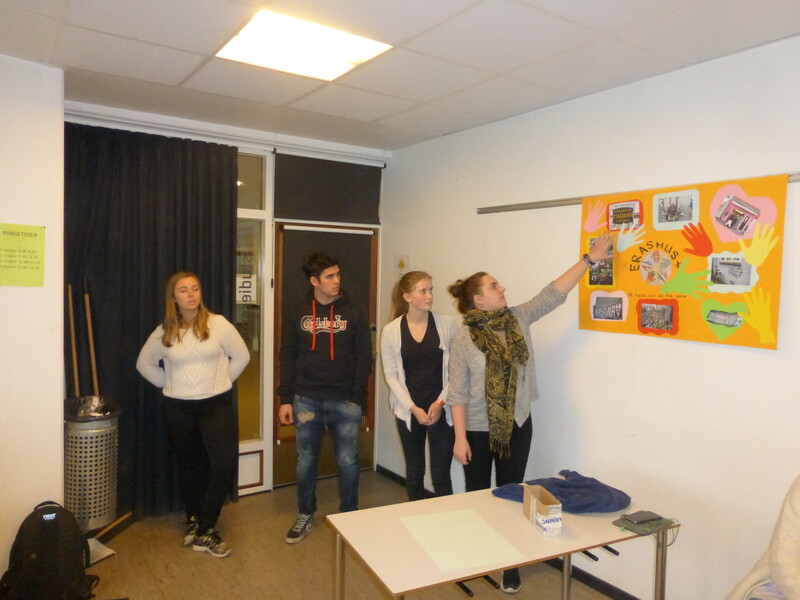 We had a nice evening where the parents could get together and talk about the week, and they were shown the posters from the exhibit.